GungHo has announced that Grandia HD Remaster and Grandia II HD Remaster will soon see release on Nintendo Switch. Grandia was first released on PlayStation and SEGA Saturn, a JRPG from developer Game Arts that was set in a fantasy world of emerging technology and exploration. You play as a young boy called Justin who inherits a magical stone that leads him on a quest around the world to uncover the mystery behind a long-lost civilisation. The sequel is the more revered game, releasing on PlayStation 2, SEGA Dreamcast and PC. It is set a thousand years after Granas, the god of light, and Valmar, the god of darkness, nearly destroyed the planet. That was avoided when Valmar was split into pieces and scattered throughout the world, and, after the battle, the Church of Granas led humanity to prosperity. When Ryudo, a young mercenary, is tasked with protecting Elena, a songstress from the church, their journey soon reveals that the church’s history is not all that it seems. 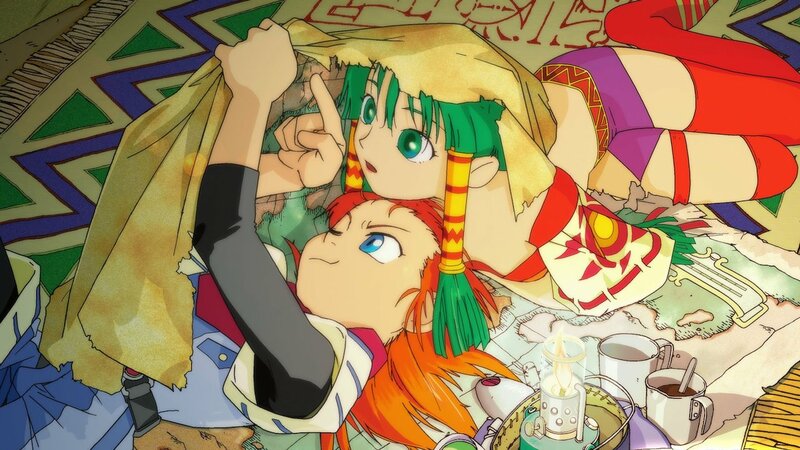 Grandia HD Remaster and Grandia II HD Remaster will release for Nintendo Switch worldwide in 2018, with the sequel to be playable at PAX West 2018.